Fashion is a very relative term, what may have been in vogue one day may become a faux pas on another day and vice versa. The fast changing dynamics of the fashion world are largely inspired by trendsetters, most of who belong to the colorful and fashion savvy world of Bollywood. Bollywood fashion is like a movement and it inspires Indian Women’s fashion across the globe irrespective of where they are based out of. KalkiFashion understands that Indian women love Bollywood, and wish to add elements of dramatization to their outfits and thus we have an entire category of women’s clothing that is dedicated towards fulfilling this need. Bollywood Style Salwar Kameez suits come in a variety of designs and patterns, ranging from dainty and petite Bollywood Anarkali suits, to Bollywood replica salwar suits and many other types and patterns. 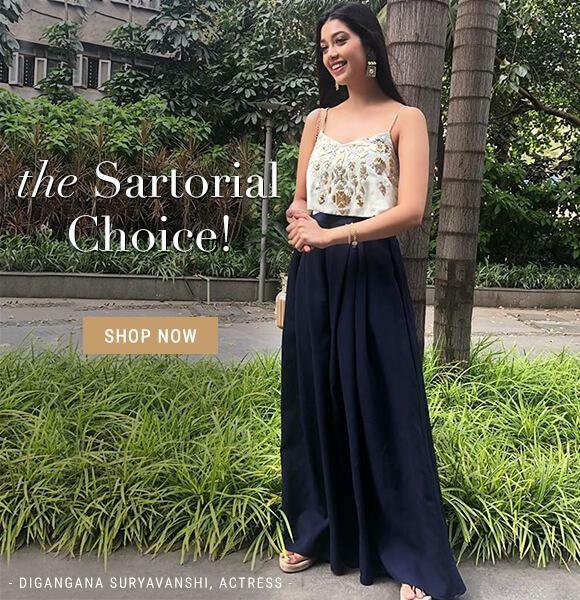 Since salwar suits inspired by Bollywood are much in trend and definitely high on comfort, they are preferred by women for many a festive or ethnic occasions. Bollywood actresses in salwar suits have made appearances at many a fashion events and film promotions and when an actress is spotted in a chic and trendy suit, it makes the category of Bollywood suits all the more coveted. Punjabi Bollywood Salwar Kameez with resham, stone, string and zari weavings over fabrics like net, georgette, chiffon and brocade are popular picks among ladies looking for replica Bollywood designer suits. 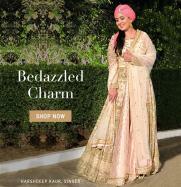 With hundreds of design options at KalkiFashion.com, easy payments and returns policies and a secure site, you now have the option of getting your perfect Bollywood style churidar suit delivered to you at your doorstep. Shopping for your favorite Bollywood inspired suit is now quick and hassle free at our online store.